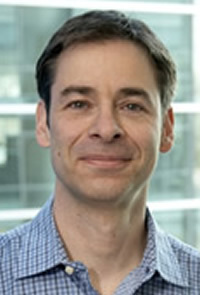 Mark Loeb is a Professor Pathology and Molecular Medicine (primary) Clinical Epidemiology and Biostatistics at McMaster University. His research interests include epidemiologic and genomic population-based studies on viral infectious including influenza, West Nile, and dengue. Current projects include an NIH population genetics research program, a CIHR funded cluster randomized controlled trial to reduce spread of influenza by immunizing children in Hutterite colonies, and a CIHR funded influenza pandemic team grant to establish natural history as well as immunologic and genetic determinants of influenza infection.